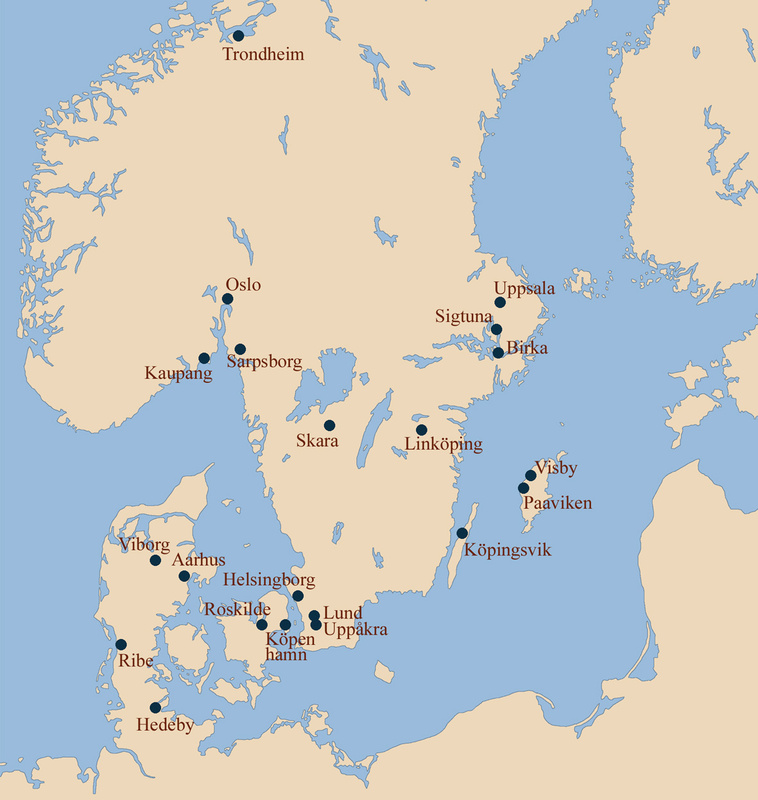 Much of Viking Age architecture that was initially rooted in central and southern Scandinavia and then subsequently applied in the Norsemen’s North Atlantic colonies can be traced back to the late Iron Age. Several types of structures built during the Viking era bear significant resemblances to the rural and urban settlements established by the Norsemen (or the Celtic-speaking populations for that matter) in the course of the Iron Age, most notably the archetypal longhouse. In this respect, in order to understand the nature of the boat-shaped longhouses it is pivotal to discover their ancient origins firstly. As such, these long, narrow, and quite crowded buildings served as community shelters, being built of prime materials that were gathered from the forested regions of Scandinavia. The longhouses in Viking Age Scandinavia were based on timber frames, had wattle walls, and thatched roofs. Bearing in mind these aspects, the fundamental architectural style of the Norse longhouse wasn’t very different from that of the first Anglo-Saxon rural settlements. The early Anglo-Saxon houses were very simplistic in design but at the same time functional and practical. A pivotal aspect that makes the discrepancy between the Norse longhouses and the first Anglo-Saxon thatched-roof houses was the decoration. The front door of the Norse longhouse was in many cases decorated and the interior could have had furniture ornamentations as well (in the cases of richer Norse noblemen). While resources for the construction of the longhouses were to be found in copious amounts in native Scandinavia (with the preferred timber being oak), in such cases as the Faroe Islands, Iceland, and Greenland the situation was quite different. For detailed information on the Icelandic and Faroese turf houses please see this article. For additional information on the saga of a Viking Age longhouse in Iceland please see this article. 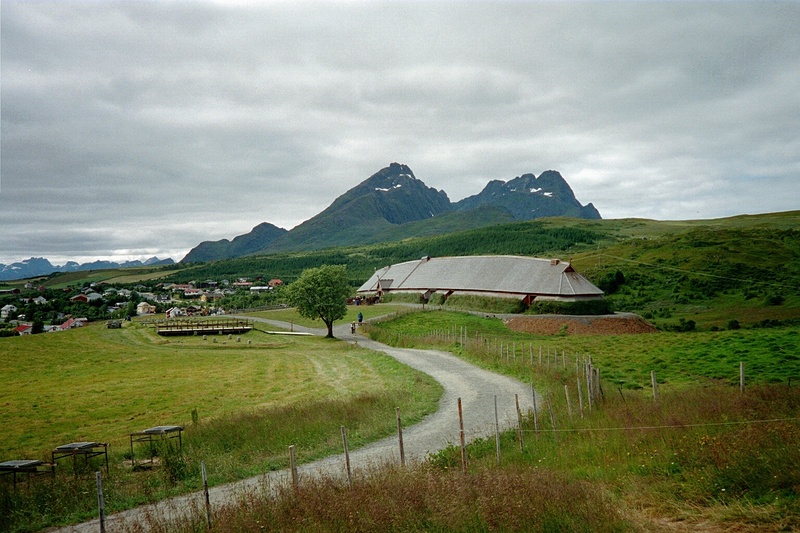 Because of the fact that wood was scarce in all of the previously mentioned territories, the Norse settlers had to cope with the challenge of building durable homesteads using turf, sod (as it is the case of Iceland and the Faroes) or large boulders of stone (as it is the case of Greenland). Concerning the interior emplacement, the fire pit was situated in the centre of the longhouse — specifically in the large central hall — with a hole above it so as to let the smoke exit the building. The floor consisted of pounded earth, and, depending on how large a longhouse actually was, rooms were partly unused, given the fact that some at one end stored provisions for the winter and various tools, while some at the other end were made into barns in which animals lived. Thus, Norse families lived and gathered in the centre of the longhouse, working, cooking, and telling folk tales by the light and warmth of the open fire. While in contemporary times many of us would be tempted to think that the longhouse was rather noisy and unkept, for the times of the Norsemen this structure was not only warm, but very cozy as well, which just goes to show another misconception about the Viking Age debunked. Some of the most renowned and authentic reconstructed Viking Age longhouses can be found at Borg (located on the northern part of the Vestvågøy island in the Nordland county, Norway), at the ring-shaped stronghold of Fyrkat (located near the railway town of Hobro in northern Jutland, Denmark) or at the archaeological UNESCO World Heritage Site of L’Anse aux Meadows in Newfoundland, Canada. Additionally, as of late 2016 archaeologists from the open-air archaeological museum Sagnlandet Lejre (‘Land of Legends’ in translation) near Roskilde, on the island of Zealand, Denmark, are working on the largest and longest reconstruction of a Norse longhouse to date. When it will be finished it was reported that it will have a length of 60 metres. For some, it is very hard to believe that the Norsemen had actually quite extensive knowledge regarding the urban planning. While they are mostly recalled for their raids and conquests, they did know quite a bit on the matter as well. During the early Middle Ages there was a large and quite winding trade network connecting Scandinavia with the rest of Europe, and even the Middle East and parts of western Asia. For detailed information on trade during the Viking Age please see this article. Aside from this network of trading towns, the Norsemen also built imposing ring-shaped strongholds known as ‘trelleborgs’ (singular ‘trelleborg’), which are located in present day Denmark and southern Sweden. For detailed information on these circular citadels please see this article. 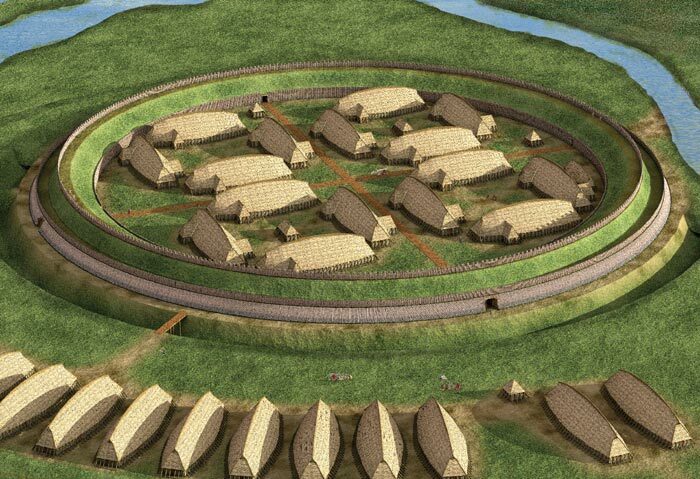 These structures are similar in many ways to other circular forts of the Iron Age, particularly to the Celtic fortresses from Western and Central Europe. The Viking Age ring-shaped citadels were magnate residences and could have been used as military bases for invading England in the early 11th century. An interesting one in particular is the trelleborg near Slagelse (a local museum was established there in 1995). What an excellent and comprehensive article on the subject!